‘East-West Express’ is a combination of words that includes geographical zones of participating countries: Western and Eastern Europe. ‘Express’ symbolises a short-term period of this group EVS as well as a metaphorical resemblance of passengers on a train that carries them to a new destination. Being based in Sweden at More Mosaic organisation, young people will receive knowledge on the following elements: project management, different methods of project ideas development, organisational theories, marketing/PR and event management, social media and digital tools, advanced video and photo literacy skills. 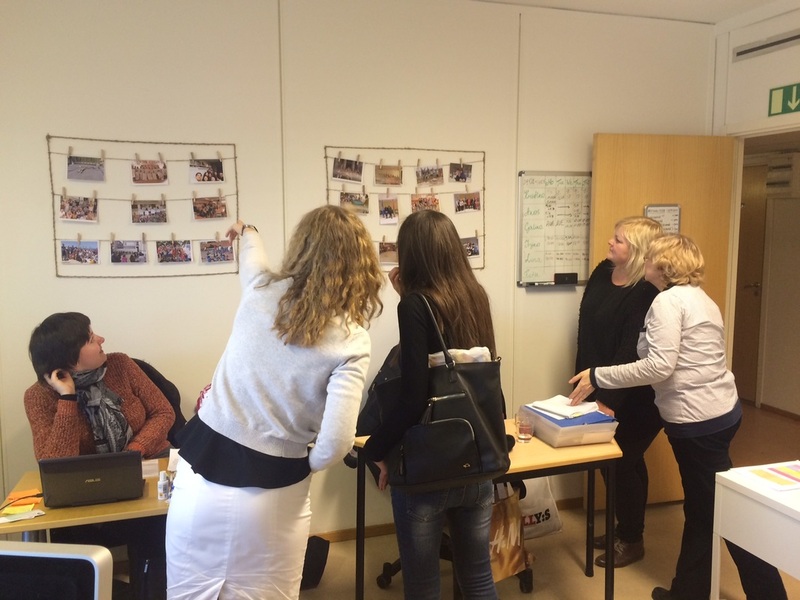 One of the important elements of the project is to expose the participants to the Swedish models by introducing them to practical aspects through EVS projects, NGO and youth work. We believe that all partners and individuals who will become a part of this project will find a mutually beneficial and inspiring environment for growth and implementing new ideas. The project is implemented by More Mosaic in cooperation with Union Forum (Ukraine),Research-Intellectual Club "Dialogue of Generations" (Georgia),USB (Greece), Interra (Russia) and co-funded by the Erasmus+ Programme of the European Union. Hi! My name is Elena, I’m from Russia. I’m 21 years old and I’m an optimistic and enjoying life person. I like to be in a new atmosphere and to learn more about living other people: what worries them, what they are interested in. I’ve travelled through Russia in 2014 and it was a great experience for me. For that time I’ve lived in several families, have met and talk with almost or more than 100 new people and I’ve realized that every human story is unique and interesting. This program will be my first trip abroad, so now I can only imagine what an incredible experience I’ll get when I’ll meet a lot of people from different cultures! Also, as I’m a student of design program at Siberian Federal University, it will be very inspiring and helpful project for me. At first it will be a great practice, because I work in a media sfere in my daily life. And at the second, Greece is a country where history of art starts! I’m glad for this opportunity and very happy to be part of this project! ​Hello, my name is Sacha and I am 23 years old. I am originally from the Netherlands and have background in Social Sciences.I moved to Linköping, Sweden for a two-year master’s program in Gender Studies and that is where I live now. After studying for so long, I am excited to take a step in another direction and do something more practical. Doing an EVS in Greece is a perfect way for me to do that and to figure out what I want to do in the future. I will be working with media, which will be a fun way to engage in communicating information outside of academia. I became involved in the Erasmus+ framework in March 2017 and have participated in several short-term projects since, both youth exchanges and training courses. Through Erasmus+, I have met many amazing people from all over Europe and neighbouring countries, and I am very excited to continue these wonderful experiences by participating in the ‘East-West Express’ EVS project. I am interested in working with human rights and improving the situations of marginalised groups, and in the past, I have worked mainly with LGBTQ groups, including LGBTQ refugees. By going to Greece, I hope to get insight into a different culture with different challenges than the Netherlands and Sweden, and contribute to the situation of different marginalised groups in the Greek society. ​​Hi! My name is Katia, I’m 24 years old and I’m from Ukraine. I recently finished my master's in journalism. I have been working at different media projects. Especially I like radio and web media. I think that culture exchange – it's a great opportunity to make international friends and to find out about traditions of the customs of other peoples. Also I always admire cultural heritage of Greece. There are a lot of things that I have to learn from country with so huge history. As for me, the best way to know a country is to speak with its people. I am open-minded for something new and unordinary. In my opinion, every human you meet in your life is better than you in some way. It means that I can learn a lot from another person. I am crazy about traveling, that thing gives me a lot of inspiration and energy. I am trying myself in theater, poetry and music. Also I am a presenter of concerts and festivals, my hobby - Latin dances and playing the piano. My name is Irakli and I am from Kutaisi, Georgia. I am currently working as board member in a NGO, and I’m EVS volunteer in Greece. So, I believe that this unique experience could enrich and develop me as an individual and in my professional life. I believe that my enthusiasm, analytical skills, organizational abilities and creativity in solving problems could make a positive contribution to U.S.B and to my project. Here’s a little brief about me. I was born and raised in Kutaisi, Georgia. Unfortunately I do not have a mother and a father. Perhaps, that is why I can say that I am independent and I love to care for others. Finished local private school and now I am a biology student at Akaki Tsereteli State University. I have been a member of a very successful NGO in Kutaisi, “Research-Intellectual Club "Dialogue of Generations" (RICDOG) for almost 2 years, which helped me to improve my skills and grow as a person. I participated in various projects as a manager, coordinator and consultant. It was very productive and successful years. Now I am board member in this NGO for almost 1 year. During my work, I developed myself as a good manager, leader and teammate. I developed my communication and PR skills which would be useful in your organization. Besides that, I managed to find some time for my hobby. I am very fond of Photoshop and video editing. For me it is great when I can connect my hobbies and my job. My name is Axel Furberg from Östersund in Northern Sweden. I’m a positive and energetic 22-year-old who loves to socialize. I work with support over telephone for Swedish magazines. A friend told me that EVS were looking for Swedes to come down to Thessaloniki and work voluntarily. The more I heard about it the more I wanted it! It really sounded right up my alley, not to mention the sun part! In the future I want to study psychology and/or help people in dire situations around the world. Hi!My name is Marta! I am studying at Ivan Franko National University of Lviv. I am creative and energetic. I am fond of languages learning, sociology, music, playing the piano and travelling. My education is connected with translating and interpreting. Thanks to it I learned to be attentive to details, develop creativity and work on the result.I have an experience in participating in international programs. I liked it as it helped me to improve my skills and I want to develop myself more. This is one of the reasons why I get involved in such projects. I like to learn and work. In the future I want to bring a benefit for people and society. Activities of NGO More Mosaic in #Stockholm are similar to my interests and goals. It is important for me to develop, get new contacts and participate in international dialog. Therefore, I decided to take part in the #EVS project 'East-West Express'. I believe that volunteering can change a lot in my life, because changes means development, inspiration, new ideas and accomplishments. ​​Hi! My name is Alina and I’m from Lviv, #Ukraine. I graduated from Lviv National Academy of Fine Arts as artist restorer. Now I am working for Lviv College of Civil Engineering, Architecture and Design as teacher of specialized disciplines of the artistic cycle. ​Last few years volunteering and non-formal education became for me a part of life, perhaps as drugs, in a good sense of this. Tried once, you want more and more. Yes, I found out what is volunteer camp, and then I tried myself as a camp leader and helped to organize work camp. Now I really want to deepen my knowledge of volunteering, to confirm and develop my organizational skills, and, of course, to get acquainted with new people, cultures and worldviews. I really want to enrich and expand my network internationally. I will be very happy to be part of the #EVS project 'East-West Express' and I'm pretty sure that it will be an incredible experience for me. Hej! My name is Daria, I’m 21, and I’m from #Ukraine. I’m on my last year of university studying, majoring in International Relations. But I have also so many interests apart from diplomacy, so I didn’t choose yet what to devote my life to. My passion is graphic design, I like studying languages and in the same time I want to make some contribution to the development of civil society – to be “useful to the world” I would say. So, I’m already practicing graphic design, I speak Ukrainian, Russian, English and French, but I don’t have yet a lot of knowledge related to my third and main goal. Therefore, I decided that an #EVS should be a perfect possibility for me both to gain necessary practice in working within NGO More Mosaic in Stockholm, and to explore new culture, new people, new environment! 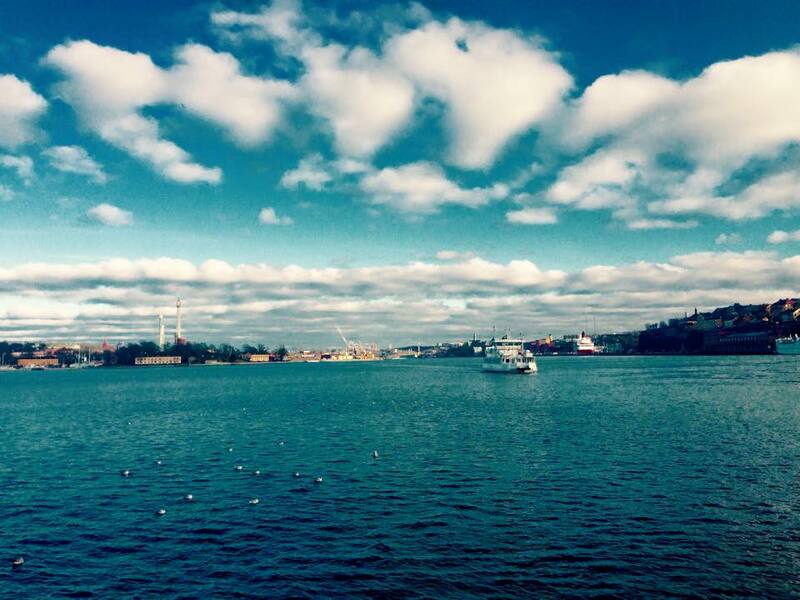 Besides, I always dreamed of going to #Sweden and discovering its Nordic beauty. So now I have this opportunity! I hope, this experience will be really “life changing” for me and will become one of the things that I will tell my grandchildren about. Hello! 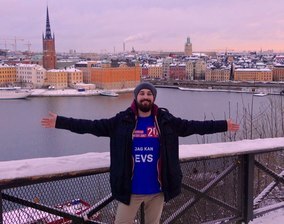 My name is Bashkim, I’m 27 years old and I’m from Malmö, #Sweden. I’m a student of linguistics at Lund University, and I have a great passion for the Swedish language, it’s history, accents and it’s precursor languages. Other interests of mine are history (especially the History of the Roman Empire), sociology, and music. I have been producing music for about 7 years, and I play several instruments such as the guitar, ethnical percussion, etc, since a young age. I love meeting people from other culture’s as I see it as one of the most effective ways of learning and evolving as a person to constantly have your world view challenged. Since meeting some friends from #Georgia for the first time I found a deep respect and interest in the Georgian culture and history and decided that I wanted to see this country for myself. I went to Georgia by myself for a couple of times, until I got the great opportunity to do a one year #EVS-project here. Now I am volunteering at the Ricdog დასაქმების ბაზა organization in Kutaisi, Georgia. A well renowned organization with it’s roots in Kutaisi, one of the oldest cities in all of Europe. Here I work together with youth from Georgia, implementing multi-cultural and inclusive projects, teaching English and furthering the civil society of Georgia while also developing my personal skills, learning Georgian and getting more entrenched in the Georgian life every day. AmbeCò Environment and Communication, based in Avezzano (AQ), is a cooperative a.r.l. engaged in the fields of communication, training and company internalization. The cooperative deals with environment by enhancing the naturalistic values of the Abruzzo area and by promoting the culture of the sustainable living. Aim of the project is to involve the volunteer in the realization of information and sensitization campaigns addressed to citizens and students related to sustainable development through environmental education. The volunteer will be involved in the planning of activities and projects, in the participation, organization and management of environmental education activities and events. The volunteer will be involved in communication activities, preparing articles, updating the website and social media, will support the organization in its weekly activities and ongoing projects. Hi! My name is Rebecca, I’m 25 years old and I’m from Sweden. I recently finished my bachelor’s in political science. I am very interested in sustainable environment issues and I am now working for the environmental organization AmbeCò in Avezzano, Italy. Here I take part in the daily work to educate students about sustainable environmental issues, and participate in planning different activities and projects, such as youth exchanges. I love traveling, meeting new people and learning new languages, and that’s why I applied for this Erasmus+ project. The Erasmus+ programme has given me the opportunity to meet new people from different cultures and countries, it has also made me adapt to a whole new environment while learning new languages. I'm sure my time in Italy will be a lifechanging experience, and a valuable investment for the future! Hello! My name is Valeria. I’m 30 years old and I’m from Krasnoyarsk, Siberia. I graduated from Siberian Federal University as a historian and archivist. Now I work in the local NGO “Interra” and I'm interested in issues such as cultural exchange and dialogue, tolerance, developing harmonious modern society. Erasmus+ program gave me an opportunity to join the “Job Shadowing” project in order to acquire international experience in the areas of tolerance, sustainable development in civil society sector and ethnic relations in Sweden. I’m happy to be involved in the working environment of NGO More Mosaic. I can not only observe, but also take an active part in the planning of activities, learning the organisation’s experience on integration and diaspora environment. I also take an active part in daily work, coordinating youth projects and events, having different study visits in Stockholm according my interests. The key points of the job shadowing project for me is to gain new experience and implement it in my sending organization and local community, thus disseminating best European practices in Russia. The job shadowing project 'Rassvet' is implemented by More Mosaic in cooperation with Interra​ (Krasnoyarsk, Russian Federation) and co-funded by the Erasmus+​ Programme of the European Union. Hej! My name is Sanna Svärd, I am 20 years old and from Sweden. I finished high school last summer, and since then I have been working as a dispatcher for the Police. Since I am not sure yet what I want to study and do with my life, I thought some volunteering experience abroad would help me figure that out. I am interested in journalism and media. It is something I would like to study and work with. I like to meet new people and learn about different cultures. Also, I love to travel and discover new places. I first heard of EVS in school when a couple of EVS volunteers visited my class. It caught my attention and I started apply for projects. I will stay here in Thessaloniki, Greece, for 6 months to do a media project for the United Societies of Balkans called Balkan Hotspot. I am very happy to be here and I believe it will be a good experience for me! The EVS project 'DemoHome' 2017/2018 is implemented by More Mosaic in cooperation with United Societies of Balkans​ (Thessaloniki, Greece) and co-funded by the Erasmus+​ Programme of the European Union. My name is Paul, I'm 24 years old and currently live in Sweden with my family. My background is multicultural: I was born in Ukraine, spent a long period of my life in Poland and consider myself Polish. I could well say I had a nomadic life. After finishing my major in Traditional Animation in Sweden, I started taking small jobs. Then I decided to find a profession that could provide a better income. That's why I became a massage therapist and that was well worth it despite an expensive education. Looked like I found my dream job. I have a strong interest in developing myself and learning new different skills, for example social and entrepreneurial. And that was probably the reason why I was introduced to Erasmus+ program. I assumed that after being stuck in Sweden for 9 years without much travel, I grew out of this and naturally longed for some changes. Moving to Greece for EVS program and experiencing what's it like to live there was exactly what I needed at this particular moment. If you want to see and experience a new country, its culture and history, get new friends from around the world, this place is for you. Hello everyone! I am Efthymia (or Mia, in short), I'm 21, from Greece. I'm studying geology and l'm very interested in non-formal education and adult education. I love to read, learn new things, play sports, explore my creativity and cooperate with new people. When a friend of mine told me about this EVS programme in Sweden l realised it was exactly what I was looking for: be a volounteer, live in Sweden and learn how a NGO functions, as I'd like it to become my future job. I did not have a second thought and l applied. l am very happy for this opportunity and l believe this is a life experience you cannot miss. My name is Federica, I'm 26 years old and I'm from Valenza, a small town in the North-West of Italy. I have always had a strong passion for the languages, and this led me to choose my university course, opting for the study of English, French and Russian! I have a strong interest in travelling, discovering new cultures and meeting new people. In particular, I am interested in Russian culture, and I had the opportunity to spend a period of study in St. Petersburg, which has increased my passion for this country even more. When a friend's sister told me about the EVS in Krasnoyarsk, I immediately applied and... I was chosen! Moreover, I have had the opportunity to be a volunteer of EXPO 2015, and such opportunity has made me understand even more how much I like working with people, how much I can grow from a personal and social point of view, but most of all that often one grace is enough to feel satisfied. The EVS project 'DemoHome' 2017/2018 is implemented by More Mosaic in cooperation with Ad Arte/Nous (Italy) and Interra (Russia) and co-funded by the Erasmus+ Programme of the European Union. Hi! My name is Lorenzo, I am 27, and I'm from Italy. I studied Languages and International Relations in Turin, my city. Suddenly I felt like I was tired of studying and I wanted to have a learning-by-doing experience. So, when a friend told me about the EVS opportunity I seized it immediately. I wanted to work in a multicultural environment and challenge myself: now I have the possibility to work within an NGO, learn new languages and acquire new capabilities. Moreover, I am interested in Eastern Europe and European cooperation and, most of all… I love to travel! I’m looking forward to discovering new places and making new friends from all around the world. 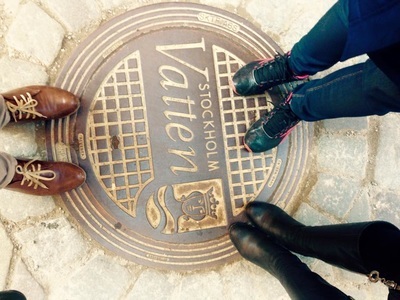 I’m also a blogger, I’m interested in journalism and I like writing so I started a blog about my experience in Sweden! The EVS project 'DemoHome' 2017/2018 is implemented by More Mosaic in cooperation with Ad Arte/Nous (Italy) and co-funded by the Erasmus+ Programme of the European Union. My name is Misha. I am 24 years old volunteer from Ukraine. Despite the fact that I have received good education, had interesting work, traveled and had a lot of free time for different activities I felt that something was missing in my life. That’s why I began to look for something new and it was Erasmus+ training ‘Peace Puzzle’ that had changed my life and views rapidly. I found EVS program ‘Unity in Diversity’ in Stockholm at NGO More Mosaic and was quite lucky to be accepted. It’s the best possibility to test yourself, take a new life challenge and explore another culture. In addition to accommodation and allowance, one gets interesting and useful working experience and makes new international friends, explores new countries and cultures. A nice way to spend one year of your life, yeah? About myself: I like to explore everything new and enjoy different activities. That’s why travelling, biking, meeting and communicating with new people are important things for me. Moreover, I am interested in psychology, philosophy, ecology and intellectual games like poker and chess. Hopefully I would have some free time to dedicate it to my hobbies this year. My name is Lena. I am from Ukraine, and now I am an EVS-volunteer in More Mosaic! I studied Economics and have a degree in Marketing. I am a very positive, communicative and creative person, proud to be Ukrainian. I love people and animals. I believe that every person is unique and special, and that is why I take great pleasure in getting to know different people from all parts of the world. I take great interest in psychology as I enjoy discovering every peculiarities of a person’s character. Even more joy I receive from contacting animals. When I was a student I cooperated with an animal shelter in Kyiv and took part in various volunteering actions in order to help animals. I cannot just pass by any kind of suffering and always try to make a change in an unjust situation. I was also a professional swimmer for more than 10 years, so that has definitely helped in contributing to my determination and perseverance. I am great at finding and achieving goals no matter what. 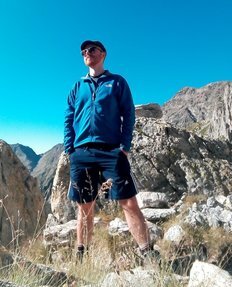 I like sports, photography, enjoy travelling and always ready to face new challenges and discover new interesting things. My name is Aram. I am from Yerevan, Armenia. For 2 months I participated in the European Voluntary Service project ‘Unity in Diversity’ at NGO More Mosaic in Europe, Stockholm, Sweden. I have been engaged in volunteering work for 5 years. For me volunteering is an opportunity to develop both personal and professional skills. Meanwhile, this is an enjoyable process to discover the world around us and to make a small contribution to the global positive changes. As EVS was one of the best ways to improve language skills and intercultural communication, to share cultural values and establish new network and friendship I used the opportunity to achieve that. P.S I like dancing, photography, traveling and music. I am also a big fan of extreme tourism. My name is Edith Permén. I am currently doing an internship at Armenian Progressive Youth in Yerevan, Armenia. Before this I was studying Political Science at Stockholm University and worked for the organisation Men for Gender Equality. As a person I am very dedicated to gender issues, especially in the Eastern Europe society. This is why I also have been living in Moscow and worked on women's’ rights. Furthermore, I am a person that learn best by doing. It is therefore very valuable for be to get out in new environments and society in order to learn more about myself and the topics I am interested in. More Mosaic EVS coordinator met with our partners from Armenian Progressive Youth, Armenia and Center for European Initiatives, Ukraine. Planning meetings were intertwined with study visits and cultural program in Stockholm. The organisation More Mosaic's main location is Stockholm, Sweden, although our prime focus and area of work is Eastern Europe. We appreciate being based and work in an international and diverse environment, a developed infrastructure and institutional multitude. Sweden can be seen as a role model in many areas and has much to offer in terms of humanitarian and educational support. To participate in EVS program would be of benefit for a young person from outside EU. We work in close cooperation with our partners (sending organisations) for choosing and preparing the volunteer to be sent to Sweden. The objectives are to share experiences between different regions, to encourage young people to be actively involved in youth work and develop his/her own talents, get practical experience in the project work. In our turn, we see the volunteer as an informal ambassador for his country. Thus we would like to get direct knowledge about the context of today's Eastern Europe conditions for youth, their problems, obstacles as well as aspirations and dreams. In general we would like to give an opportunity to people from non-EU countries who have economical and social obstacles to get international experience outside their own environment. It will give them some advantages for a start of their education or career; facilitate future exchange and cooperation; improve person's knowledge, broader his/her horizon; connect with new friends and increase chances for employability back home. The priority will be given to people with fewer opportunities and underprivileged conditions. We welcome candidates suggested by our partners – the sending organizations, but both of us will have an open call through our resources (web-sites, fb, newsletter) in due time.